The sudden death of a bachelor that occurred during a burglary at his home was “precipitated” by him having come upon the intruders ransacking his house, an inquest jury has found. John O’Donoghue (62) collapsed and died in the front yard of his house at, Toomaline, Doon, Co Limerick, as he approached the house believing the intruders were still inside the property, Limerick City Coroners Court heard. 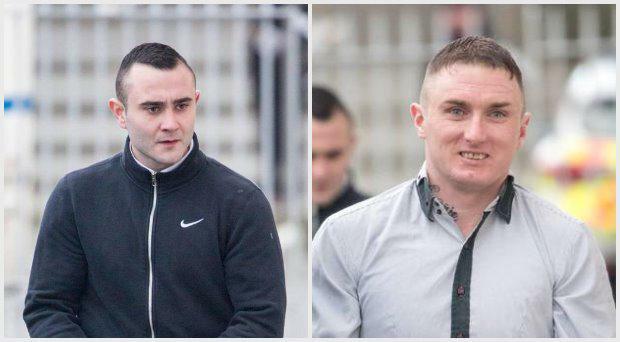 Two members of the gang, David Casey (23), of Carragh Park, Bellcamp, Dublin 17, and Michael Casey, (34), of Clonglong Halting Site, Southill, Limerick, who both pleaded guilty to a string of burglary offences on the same day, including at Mr O’Donoghue’s home, were originally sentenced to four and a half years with the final year suspended. The Court of Criminal Appeal later increased their sentences to seven years with the final eight months suspended, following an appeal by the DPP, on grounds the original sentences were too lenient. Today’s inquest heard Mr O’Donoghue’s sister Christina O’Donoghue pleaded with the intruders to help her brother but, she said, “no one came to help”. “I didn’t care about the property, I just cared about John,” she said in her statement to gardai which was read into the record at the inquest by Inspector Ollie Kennedy, Roxboro Road. The siblings, who lived together, had returned home from a shopping trip when they noticed the front gate was open, and a black Renault Laguna car parked across the road with a “suspicious” looking man seated in the driver’s seat. “John got out of the car and approached the house. He said the front door was broken. I told him to be careful, and that (the intruders) were inside (the house),” Ms O’Donoghue said. The gang’s getaway driver was “furiously beeping” the car horn to alert the two men inside the house that the O’Donoghues had returned. “John got a shovel from the shed as he wasn’t sure if they were going to rush (at) him. I told him to leave it,” Ms O’Donoghue added. She said she rushed to her brother’s aid upon seeing him “collapse down in the yard”. Ms O’Donoghue also telephoned their friend and neighbour Patrick Sweeney for help. Mr Sweeney, who identified the body of “my friend John” to gardai, told officers he “found John on the ground and Christina was rendering him assistance”. Willie Reale, a local Eircom technician who had been working near Mr O’Donoghue’s passed on vital information to gardai about seeing the driver of the Laguna acting suspiciously, and two other men “running” along the road. Limerick City Coroner, Dr John McNamara paid tribute to Garda Bill Collins, Cappamore, and Garda Elaine O’Donovan, Bruff, who had quickly responded to the scene and performed CPR on Mr O’Donoghue. The two gardai also apprehended the two defendants sentenced for the burglary. The gang’s getaway driver remains at large. State Pathologist, Professor Marie Casssidy, who performed a post mortem on Mr O’Donghue’s body - concluded that “an evaluation of the his death cannot be separated from the circumstances in which it occurred”. The autopsy found Mr O’Donoghue had an “enlarged heart and coronary heart disease”, and he was “at increased risk of sudden collapse or death at any time”. Ms Cassidy’s report also stated, “the stress of the situation” would have caused an “increase in his heart rate and blood pressure, and this precipitated his death”. Dr McNamara told Mr O’Donoghue’s family, who were present for the emotional hearing: “He didn’t deserve to die on this particular day in such tragic circumstances”. “There is quite clearly a close association between the burglary and John O’Donoghue’s death; It’s hard to untangle the two of them,” he added. Dr McNamara noted however, that Mr O’Donoghue had a “significant heart condition”, and, that, “as individuals involved were convicted of burglary, and nothing more, we cannot go beyond that”. Having deliberated for a brief period the jury found Mr O’Donoghue’s death was “due to natural causes precipitated by the discovery of intruders at his home, in accordance with the medial evidence heard”.